Thousands upon thousands of films have been released in the United States since the dawn of cinema, which means it’s only natural for some to fall through the cracks, even classic ones. Today, movie studios guard their products with armies of copyright lawyers intent on preserving every possible aspect for potential commercialization, but it wasn’t always so regimented, and as a result thousands of films are in the public domain. Some are studio releases with unrenewed copyrights, others are independent productions with errors in the credits, and still more are the impetus behind some interesting legal proceedings. From horror icons to silent classics, here are 11 films and their public domain stories. 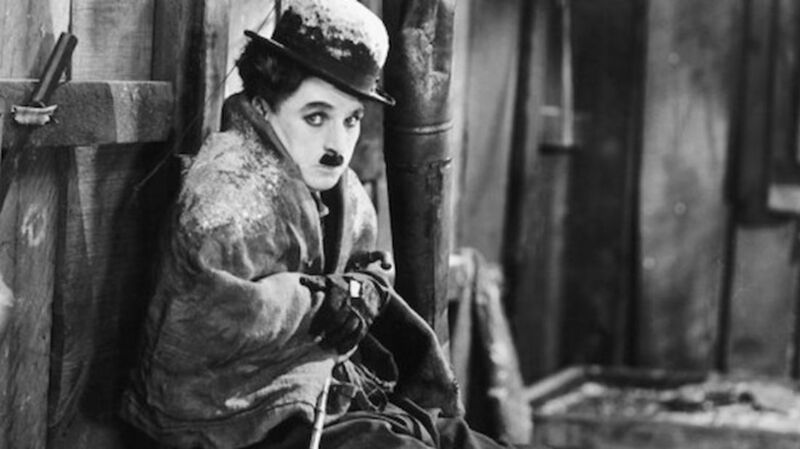 One of Charlie Chaplin’s most acclaimed works (and a favorite of Chaplin himself), The Gold Rush actually exists in two versions, one of which is entirely public domain. The copyright renewal for the original film was never filed, meaning that version became public domain in 1953. However, in 1942 Chaplin himself reedited and re-released the film with a new score and recorded narration. While the original footage, and therefore the original film in its entirety, are still public domain, Chaplin’s additions were copyrighted, and the copyright was later renewed. Perhaps the greatest of Buster Keaton’s legendary silent comedies, The General shares The Gold Rush’s slightly complex release history. The original Keaton film entered the public domain in 1956, when the original copyright expired, but another version exists. In 1953, film distributor Raymond Rohauer re-released the film with new edits, music, and an introduction. The Rohauer copyright was later renewed, but as with The Gold Rush, only the additional elements are under copyright. Keaton’s original remains public domain. There are now three versions of A Star Is Born (with a fourth on the way in 2018), but the original is the only one in the public domain. Originally produced by the legendary David O. Selznick under his Selznick International Pictures banner, the film bounced around quite a bit in years after its release. As Selznick International Pictures dissolved, the rights to the film went to financier John Hay Whitney, who then sold them to Film Classics, Inc. in 1943. When its theatrical rerun potential declined, Film Classics put the film up for sale, and producer Edward L. Alperson bought it, hoping to remake it. Alperson then sold the rights again in 1953 to Warner Bros., which then produced a 1954 remake starring Judy Garland and James Mason. Somewhere in all that hand-changing, the film’s copyright renewal was forgotten. His Girl Friday is one of the most famous films in the public domain—but with an interesting loophole. The play on which the film is based, 1928’s The Front Page, was copyrighted and renewed, which means it’s still protected and therefore so is any work directly based on it. This makes His Girl Friday practically unusable in terms of free exhibition, because you’d need permission from the copyright owners of The Front Page, even though the film is, technically, public domain. The Christmas classic might be the most famous public domain movie of all time, but you may have noticed it only airs on one TV network (NBC) every holiday season, which isn’t exactly public domain treatment for such a sought-after seasonal movie. That’s because, while technically still in the public domain, it does enjoy certain copyright protections now that it didn’t in the decades when it became a constantly re-running holiday staple on public television. In 1974, the initial 28-year copyright on the film expired when owner Republic Pictures failed to renew it, and so the film entered the public domain. In 1993, though, Republic used a new Supreme Court ruling to essentially reclaim the film by asserting their copyright to the original story on which the film is based—“The Greatest Gift” by Philip Van Doren Stern. Using this and their copyright to the film’s music, Republic was able to reassert a degree of ownership over the film, and in 1994 they granted NBC a long-term deal to broadcast the film each Christmas, which continues today. Technically, the film itself is still public domain, so if you wanted to completely reedit it and change the music, you could … but who wants that? March of the Wooden Soldiers is a particularly interesting case, because depending on who you ask, it might not actually be in the public domain. The film was originally Babes In Toyland, a 1934 Laurel and Hardy vehicle based on the Victor Herbert operetta of the same name. In 1950, after some financial juggling, the original film was licensed to distributor Lippert Pictures for a re-release. Lippert made some cuts to the original film and retitled it March of the Wooden Soldiers, believing that a title suggesting war would earn more box office bucks. In the process, though, Lippert failed to add a copyright notice for the new title. The copyright for the original Babes release was renewed, but the copyright for March never existed, leading some distributors (and now YouTubers) to continue putting that cut of the film out as a public domain release. Like many of cult movie master Roger Corman’s films, The Little Shop of Horrors was made cheap and fast (Corman apparently only shot for two days). It was also made with only the initial theatrical release earnings in mind. Since Corman didn’t see the potential for the film’s market beyond that theatrical run, he apparently didn’t copyright the film. Two decades and countless TV broadcasts later, it inspired the hit musical of the same name, which was in turn made into the hit 1986 film. Stanley Donen’s classic thriller is still praised today for its screenplay and its Hitchcockian filmmaking, but an early error made it one of the most high-profile films to ever enter the public domain. The final version of the film bears the notice “MCMLXIII BY UNIVERSAL PICTURES COMPANY, INC. AND STANLEY DONEN FILMS, INC. ALL RIGHTS RESERVED.” Somehow, no one working at the print lab or at Universal noticed the lack of the word “Copyright” or the copyright emblem, and so the film fell into the public domain immediately upon release. McLintock!, one of five films to feature the iconic partnership of John Wayne and Maureen O’Hara, is both a public domain film and the subject of an interesting public domain court case. The initial copyright, held by Wayne’s company Batjac Productions, expired in 1991. In 1996, Batjac attempted to register copyrights on two drafts of the McLintock! screenplay, and filed suit that same year against GoodTimes Home Video, a company that began releasing VHS tapes of the film as a result of its public domain status in 1993. Batjac’s argument was that, since it owned the screenplay, the screenplay drafts should be copyrighted and the film should therefore fall under the screenplay copyright. A U.S. District Court ruled that the release of the film itself “effected the publication of the unpublished screenplay to the extent that the screenplay was incorporated into the film,” and denied Batjac’s claim. The decision was later upheld by the Ninth Circuit Court in 1998. Manos is famously bad, so much so that almost no one had heard of the film until the cult TV series Mystery Science Theater 3000 mercilessly mocked it in a 1993 episode. That episode vaulted the film into the public imagination, and it has since gained considerable fame among bad movie fans. The original film features no copyright notice, placing it in the public domain, but the story’s gotten more complicated in recent years. In 2011, film school graduate and collector Ben Solovey discovered an unedited work print of the film and began raising funds to restore it. He later copyrighted his restoration, which was released on Blu-ray in 2015. Joe Warren, son of Manos writer and director Harold Warren, disputes that copyright and the film’s public domain status, based on a copyright notice filed on the original screenplay, which Warren discovered in 2013. The dispute still isn’t resolved, and Warren recently filed to trademark the title of the film, putting a number of fan projects in jeopardy. As of February 2017, a fundraising effort was underway to challenge Warren’s trademark claim. In order to comply with copyright laws of the 1960s, a film had to display its release year, its copyright owner, and the copyright logo (or the word “Copyright”) somewhere on the final release cut. When The Walter Reade Organization agreed to distribute Night of the Living Dead, it was called Night of the Flesh Eaters. A legal dispute with another similarly named film necessitated a title change, but when the change was made, the distributor failed to include the copyright notice on the print, so the film immediately fell into the public domain. The Public Domain: How to Find & Use Copyright-Free Writings, Music, Art & More, by Stephen Fishman, J.D.